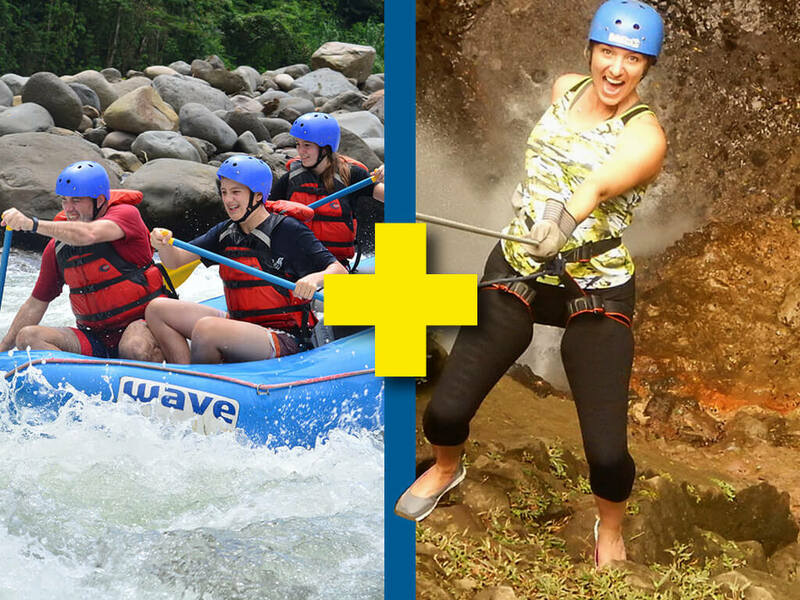 Jump start your Costa Rica holidays with White Water Rafting Class III & IV from Arenal. Costa Rica is known for world-class rafting and the Class II & IV of the Sarapiqui River won’t disappoint. 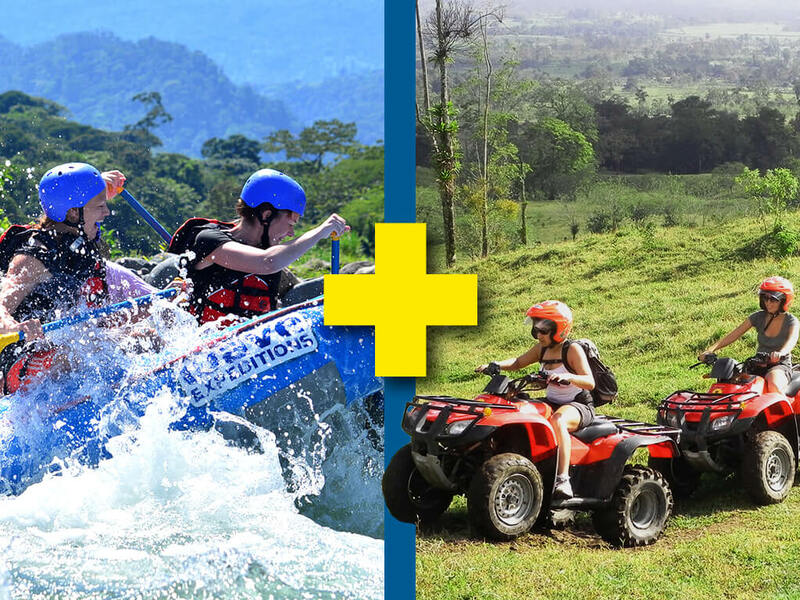 Your Costa Rica rafting adventure tour begins with a 1.5 hour scenic drive that winds through plantations of papaya, pineapple and yucca at the base of the majestic Arenal Volcano. 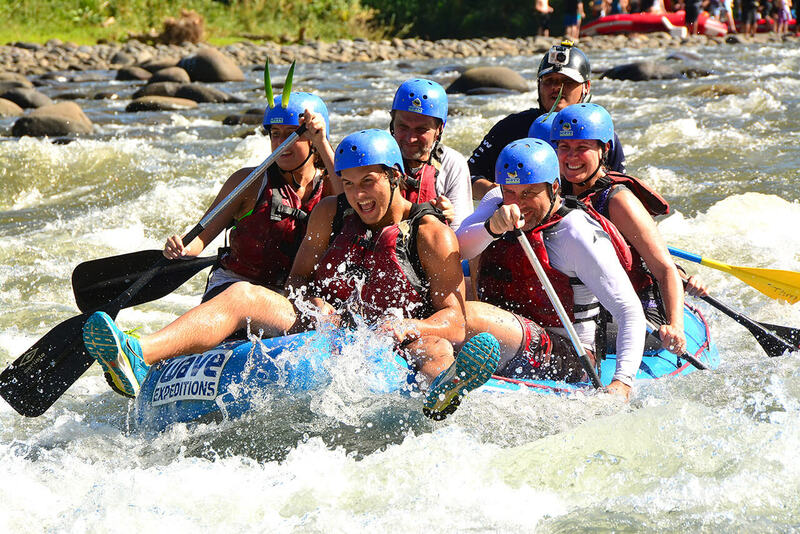 Once you reach the “put-in”spot, Wave Expedition’s skillful, trained guides will go over the safety procedure and rules to prepare you for your paddling responsibilities. 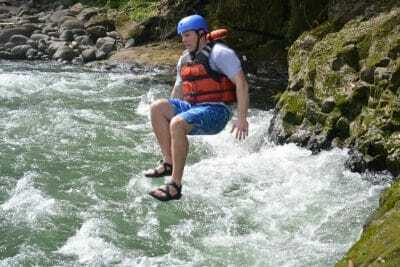 Once you know the rules and show you are familiar with the commands – you are ready to start your Costa Rica tour. The Sarapiqui River winds through spectacular greenery, so between rapids you might be treated to sights of monkeys toucans and other Costa Rica wildlife species. 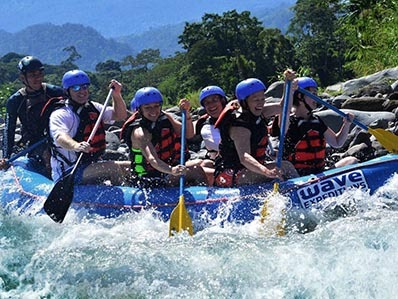 At the halfway point you will take a break while your guides prepare some delicious snacks and tropical fruit on the river bank, so you can refuel, surrounded by the serene and majestic beauty of the rainforest. 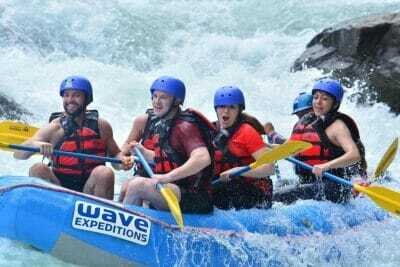 After your snack, it is time to hit the rapids again for more heart pumping excitement. At the “take out” spot, you will be greeted with an icy beverage and dry towel. 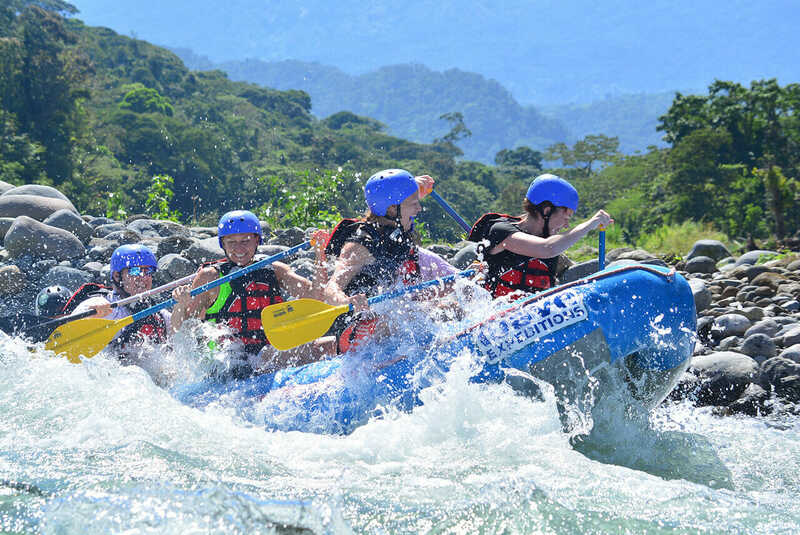 Just a short jaunt down the road, you will change into dry clothing and enjoy a delicious, typical Costa Rican lunch, where you can recount the adventure shared by your fellow rafters. Your rafting trip with Wave Expeditions is sure to be one of the highlights of your Costa Rica tour. Pura Vida!